Indeed. Other than that many issues I had with the previous version were fixed. And I think it performs better now. When the PS2 mod is on, the color of the car looks different, is there no way to fix it? That looks wrong. A broken model? What will happen if I use this mod together with SAGrading? Edit: the game will crash. I downloaded the latest version of skygfx, but I don't know why the colors look different in every car. I don't use colorcycle. That looks like the ps2 reflections to me. Nothing strange. Now that I see it again, you're right. Only the PC version uses that long brown and light blue texture (I don't remember the name, but it's in vehicles.txd). No, all versions except mobile use it. But it still looks wrong. Could be a model issue or maybe some other mod changing env map values. I've install the game again, I just installed samp, cleo and modloader, but I still get the same error. 128 then! Unfortunately I haven't been able to test it. Windows 8.1 is installing 151 updates. Lol. Have Xbox reflections on cars been removed for VC? 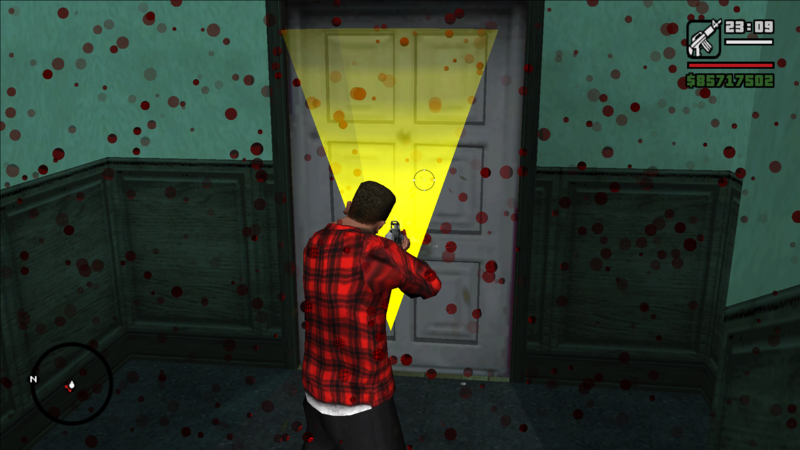 Shooting some doors will... let's say... "activate" blood drops. Check if the bleeding trees fix fixes it. Yes, it does fix it, apparently. 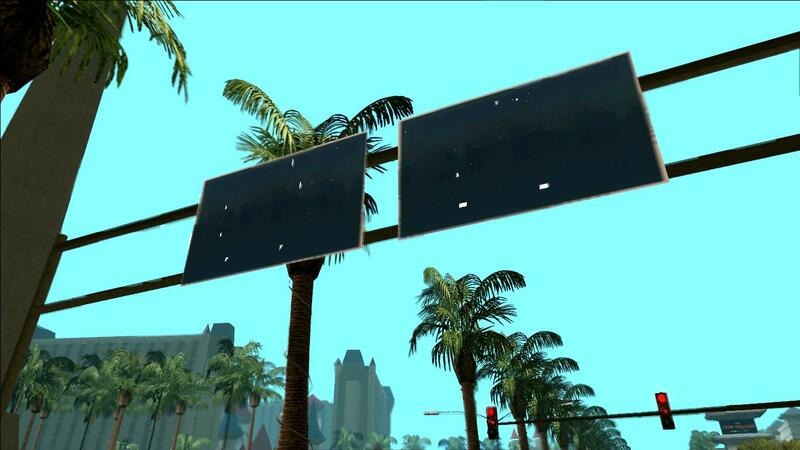 Probably the textures on signs and trees are too blurry and of poor quality to withstand the increase in fuzziness that Skygfx offers, the edges of the edges with transparency blur too much and make the more opaque parts look more pixilated, use textures with a quality between 256x256 and 64x64 is not ideal when you try to add blur. LOL. I didn't know about this fix. Interesting. I've made the model and Hero is right, there's an issue with env settings. What the hell? Nice find. I didn't test this case when I was doing all of my tests for all the new stuff about droplets that TAG implemented in skygfx. Interesting. But that's a workaround, and not really a fix because removes all 'WOOD' particles from surinfo.dat file and turns them into 'SPARKS', the same particle that weapons use when player is shooting to some object. I'm thinking the 'bleeding trees' thing seems to be a SA bug literally and not from skygfx itself because that texture pack, Overdose Effects as far as I know doesn't include anything script/plugin related that deals with game's code like skygfx does. Also TAG don't hooked anything related to 'WOOD' particle for the droplets. Anyway, I'm not sure about my theory... so, what it could be? I hope The Hero or even ThirteenAG can look into this, but in my opinion seems to be a game bug and not from skygfx. Edited February 5 by gts. The "bloody doors" is indeed a vanilla bug present on all versions... lol. 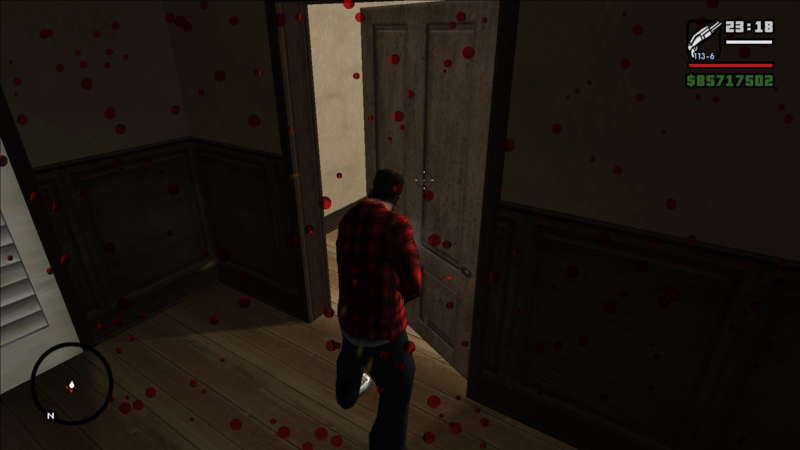 I was reading some old posts from Overdose Effects thread and the wood particle uses the same effect for blood particle BUT different colored, so that's why skygfx hooks it into the droplets. Ignore it looks weird. So the "bleeding trees fix" into the Overdose Effects downloads, is a workaround rather than a real fix. Actually removes ALL wood particles from the game but does the work "fixing it", so is up to the user use that kind of fix or live with the bloody wooden particles. After all, is not a skygfx bug as everybody and I was thinking. In the 4.0a version of the mod I experience some kind of stutter that sometimes makes the game crash. No matter what I do. From playing pool to driving a Hydra. Just for half a second the game freezes (sometimes it returns to normal and some other crashes). Anyone else having this problem or is it just me? Great job Hero! Also, can you recreate the deadly stutter I mentioned before? Can you fix this, i must use old version SAMP Addon to dont have bugs in interiors.